The National Center for Preservation Technology and Training (NCPTT) is planning a workshop on the conservation of monuments commonly found in cemeteries in the New England region. 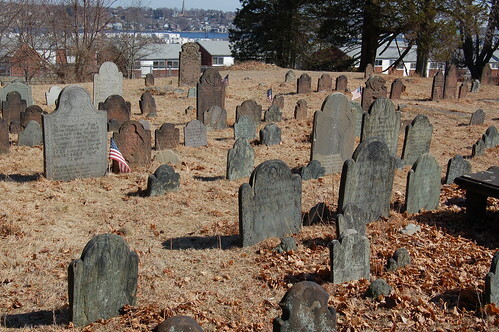 Antientest Burial Place will be the site for the workshop to be held Oct. 7-9 in New London, Conn.
Held in partnership with the City of New London, the workshop will be a combination of lecture, demonstration and hands-on training. Cost for the workshop is $695 and those interested may apply online by visiting the NCPTT website or by calling 318-356-7444. The workshop will focus on brownstone and slate, which were traditionally used on a widespread basis to make gravemarkers in New England. Shelley Sass, Sass Conservation Inc. The workshop series stemmed from one of NCPTT’s research priorities: meeting the preservation needs of houses of worship and cemeteries. NCPTT’s efforts to help conserve the historic American Cemetery, located near its headquarters in Natchitoches, Louisiana resulted in the first CMC workshop being held there in 2003. Based on strong demand from the Natchitoches workshop, additional events have since been held annually in across the United States. Besides the Cemetery Monument Conservation Workshop, NCPTT staff also conducts related workshops aimed at audiences ranging from beginners to highly advanced conservation professionals.